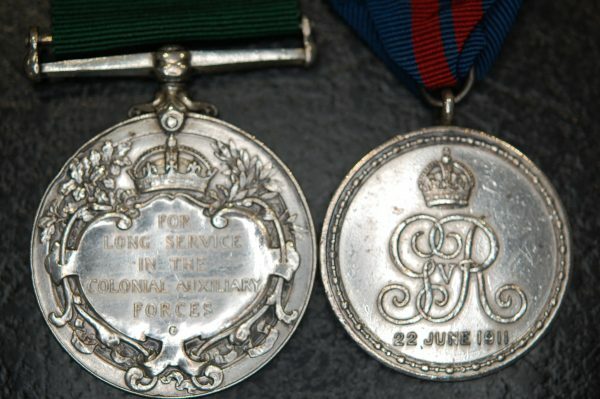 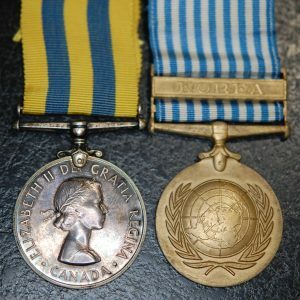 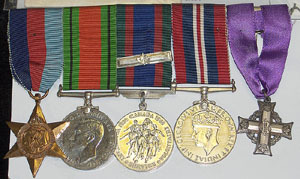 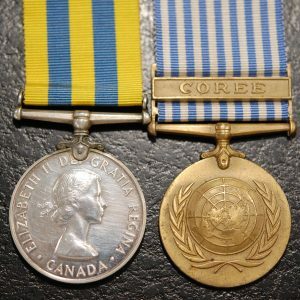 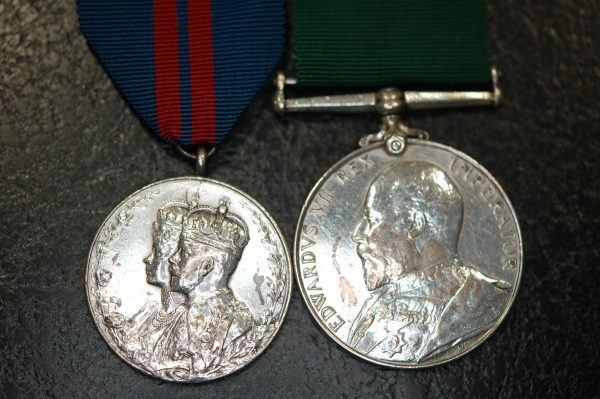 Home » Medal Groups » 1911 Coronation/Colonial Auxiliary Forces LS pair both named to 9th Regt, Voltigeurs Quebec. 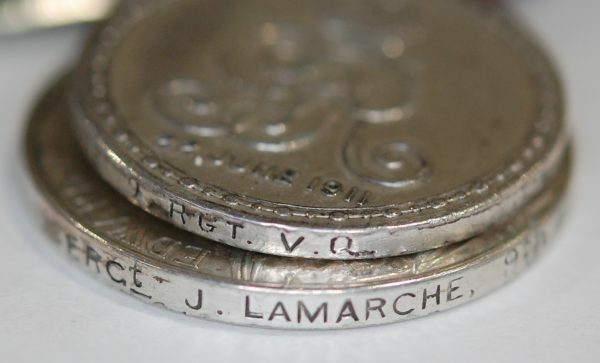 1911 George V Coronation medal in silver and impressed naming Sergt J. Lamarche, 9 Rgt V.Q. 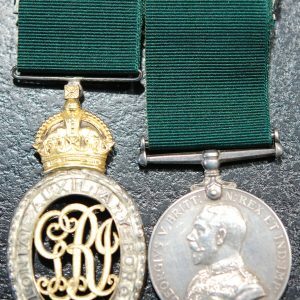 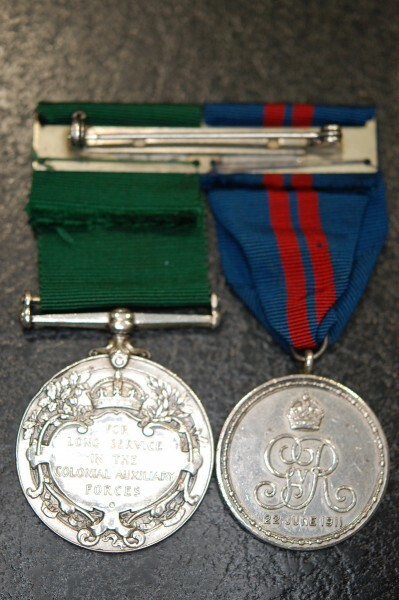 ); Colonial Auxiliary Forces Long Service medal (Edward VII) impressed naming Sergt J. Lamarche, 9th Regt Infty. 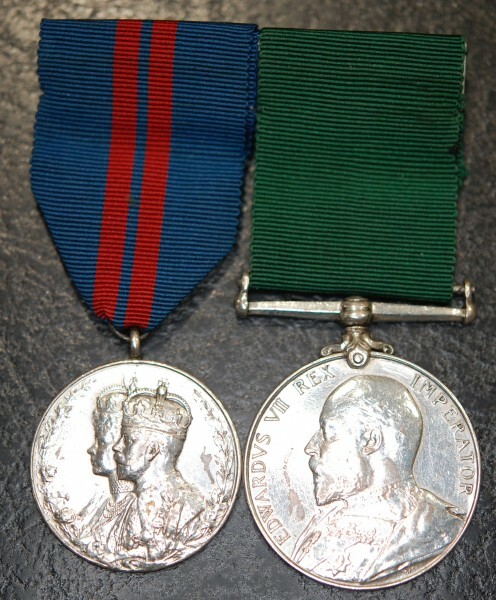 Swing mounted, finish worn, Fine.